​​The Gear You Need ... The People You Want! At VideoGO we combine seasoned experience and tested expertise, with over 30 years working with broadcast and live event technology. The strength of our design process lies in integrating the latest technical advances with greater efficiency implemented in classically engineered systems. We listen, we design, we convert challenges into perfect opportunities for memorable events, then we deliver winning results. If you are a production company, chances are you are in need of a quick, reliable solution for your event. We know you have many audio-visual companies from which to choose, but do they all have an engineer fully capable and qualified to solve any issue on the fly at any given time? Whenever you are planning a company event, private gathering, giving a presentation, or any other special event, subcontracting an audio-visual company is usually the best way to go. You have enough of the “other” details to worry about, let us take care of this part for you. When you hire us, your private AV company, our crew works seamlessly with the rest of your team, makes your company look in control and at its best, increasing your perceived professional value. Some venues have an in-house AV team; however, this is not always the ideal way to go. Some are too set in their ways, many selling you only what they have on their shelves. By utilizing their staff, it is hard to feel like you are in control of your own media and the way it is presented, quickly leading to stress and even “event fright.” Go stressless. Call us today for more info! Why not choose the team leading the way for better client services in the greater Orlando, FL, area and worldwide? VideoGO is paving the way. 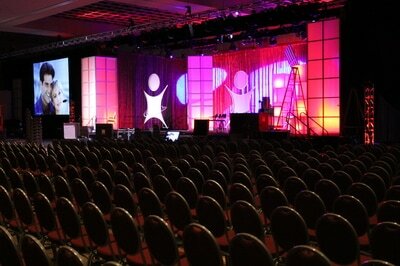 We offer smart event design and production service choices. By setting you up for success, we ensure you never have to worry. You can be confident that we'll handle the "techy stuff" so you can give your presentation the undivided attention it deserves for your special event. The difference in choosing us over a traditional AV staging company is that we operate as a subcontractor. 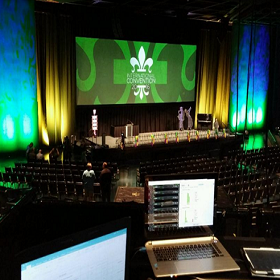 As a professional support services provider, event staging companies trust us with their clients because they know that we always deliver personalized service and the latest and greatest in AV technology. With onsite video creation, lighting, sound, and other ways to add value to your event, better staging services now are just a phone call away. ..and the measure of its success? Our collaborative approach to system design and project planning takes the guesswork out of execution. 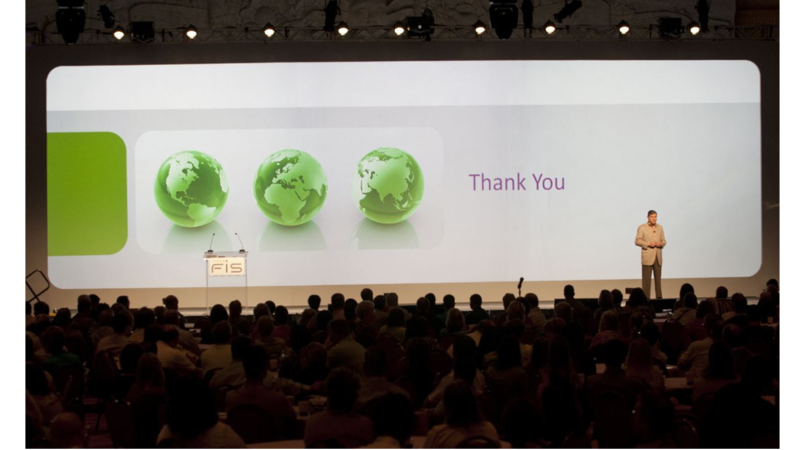 Our event professionals bring our commitment to well-coordinated teamwork to realize your vision. Providing dedicated customer service in every phase of a project, we work with you to keep a check on the budget while delivering the “Wow!” factor of greatest value and impact on objectives. From small-group gatherings for training or brainstorming to gala recognition programs and exceptional special events, we love what we do, and it shows. We have an owner on site to handle any changes as they occur. ​​​One exciting aspect of our best live production services is that, although we are headquartered in the Orlando Florida area, we can and will travel just about anywhere in the world for your performance needs. You are no longer limited to the local services in your region; simply contact us so that we can discuss your best pricing for cost-effective and high-quality AV needs. Regardless of the event that you are planning, we can handle it expertly. 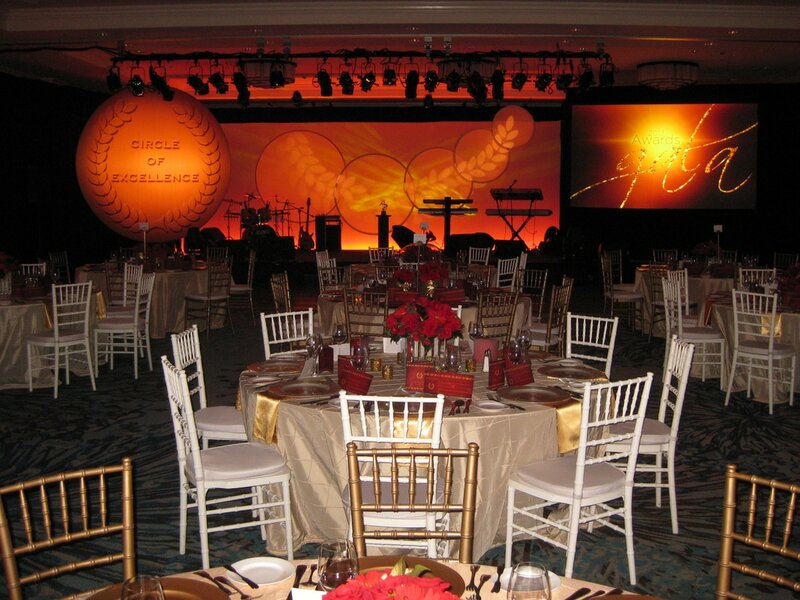 Our expertise involves any graphics, sound, music, video, and other media types needed by a high-end staging company. Also, we are very experienced in using the latest in digital and widescreen blending technology. 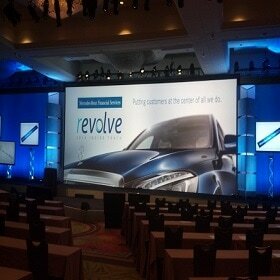 Whatever your preferred style or choice in media may be, we have professional solutions for your presentation needs. ​Choosing us to meet your live production needs means getting a professional touch to any occasion, as well as appropriate equipment. When you need to make the most of your time in front of your audience, we are always the better alternative. We have the right mix of equipment and experience professionals to make the most of any venue that you have chosen. By hiring us, you are getting the best A/V service possible for your event. And all your Audio & Video solutions. From setting up and breaking down on your schedule, we ensure that you achieve a crisp, clear message throughout your event stage, we can make the most of your needs each time. Even if it is a small audience, proper audio systems are crucial to delivering the right lasting first impression. Whether you are trying to win a client or just need to deliver the best production, we can give you the results that you need. ​For the best audio and video equipment services in Orlando, the nation, or worldwide, just call VideoGO Inc. No matter where you need us, we will be there with the right equipment and technicians.